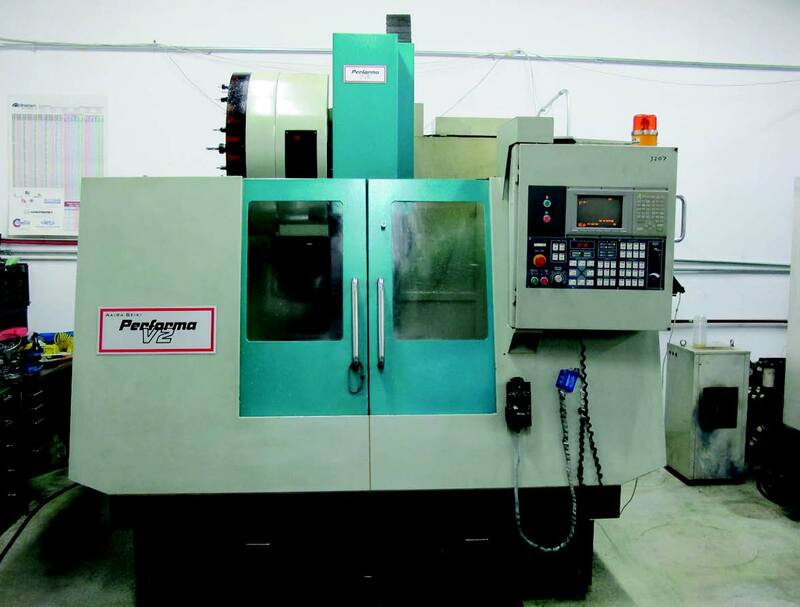 2006 DOOSAN-DAEWOO LYNX 220A CNC TURNING CENTER, FANUC CONTROL, 6’’ CHUCK, 12 POSITION TURRET, S/N 6571061. 2002 AKIRA SEIKI PERFORMA V2-A CNC VMC, WITH 10,000 RPM, SIDE MOUNT TOOL CHANGER, 24 ATC, 4O TAPER TOOLING, MITSUBISHI CONTROL, 25’’ X 20’’ X 20’’ (XYZ), S/N 026A188-585. 1997 AKIRA SEIKI SV-1000 CNC VMC, 20 ATC, MITSUBISHI CONTROL, 40 TAPER, S/N 6571060. 1999 VIPER VMC-1000APC CNC VMC, 10,000 RPM, MITSUBISHI CONTROL, SIDE MOUNT TOOL CHANGER, 25 ATC, 4O TAPER, 22 X 40 X 33 (XYZ), S/N 1485. 1996 SUPERMAX MAX-4XP CNC VMC, WITH FANUC OM CONTROL, SIDE MOUNT TOOL CHANGERS, 25 X 46 X33 (XYZ), CHIP CONVEYOR, S/N 11077. BROWN & SHARPE MICRO-VAL CMM, WITH PROBE, COMPUTER SOFTWARE. HORIZONTAL BAND SAW 7’’ CAPACITY. BEAT BLAST CABINET 36’’ X 20’’. INSPECTION TOOLS, GAGES, MICS, AND ETC. VARIOUS BT AND CT 40 TOOL HOLDERS, AND SUPPORT. 2) 2006 QUINCY 15HP ROTARY AIR COMPRESSORS.